Hot Springs Hot List | UNIGLOBE Direct Travel Ltd. Hot Springs soothe the mind, body and soul. They may be the perfect solution to tiring sightseeing, or they may be the sights in themselves. Hot Springs soothe the mind, body and soul. They may be the perfect solution to tiring sightseeing, or they may be the sights in themselves. 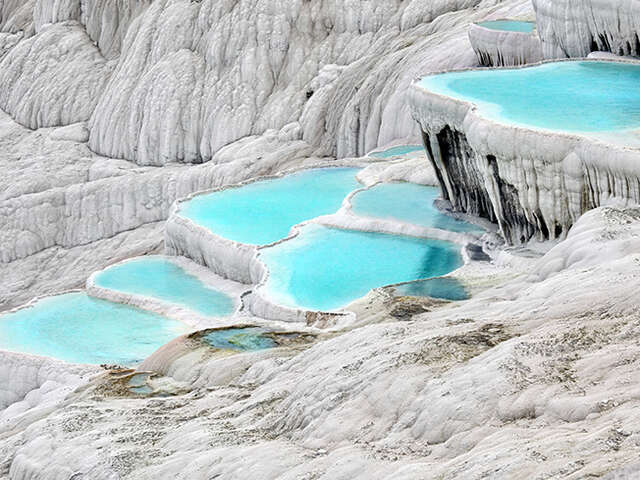 Here is a selection of some of the finest hot springs in the world for the global traveler. Don’t worry, the last major eruption was 40,000 years ago! These days there are boiling mud pots colourfully stained by mineral deposits and once the rotten egg smell becomes too much to bear, you can retreat to the Diamond Botanical Gardens to soak in the hot spring waters amidst gorgeous tropical flora.